WANT IT ON A PARK? 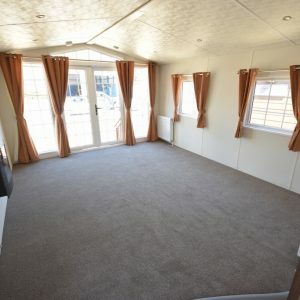 This ABI St. David was one of the higher spec models in 2010, with front doors, a full winter pack and modern décor; it was one of the biggest sellers! The living space is generous and full of light, with 2 freestanding sofas included, feature fireplace and open plan kitchen diner, it’s a lovely space. Down the hall you have 2 large bedrooms; a twin room (can supply beds and mattresses free if you wish) with wardrobes and storage. Then a larger master bedroom with double bed, lockers, wardrobes, vanity unit and en-suite toilet. Back across the hall you have the main bathroom; another good sized room with a large enclosed shower, toilet and vanity sink. 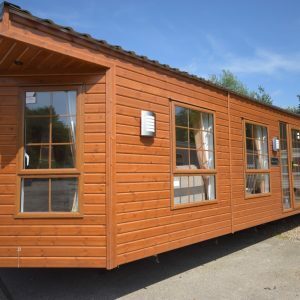 If you have any questions or would like to view this caravan, please just give us a call or send a message, have a Sunrise day! 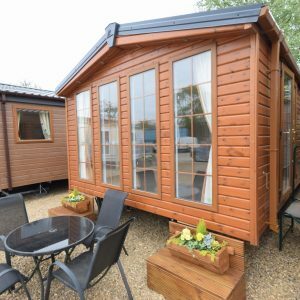 If you’re new to the world of Static Caravans & Mobile Homes, check out our buying guide! Fully fitted with everything you see in the photos! FREE DELIVERY to anywhere in England!